The March Minutes have information on a variety of upcoming events, including April Dine-out, SCRIP Volunteer needs, and Jog-a-thon. Please take a couple minutes to read the minutes so you are up to date on all our school happening. Check out the latest Parent Club meeting minutes. There are updates and volunteer openings. If you are interested in helping with the SCRIP program there are several opportunities both big and small. Parent Club is also looking for new members. Check out the minutes for more details. 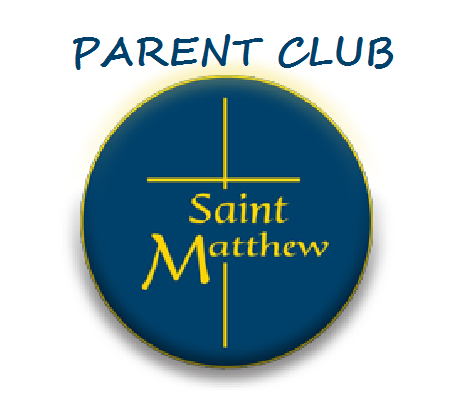 For questions about Parent Club you can contact them at parentclub@stmatthewschoolhillsboro.org. If you are interested in volunteering for the SCRIP program you can contact them at 503-648-2512 ext 229 or at scrip@stmatthewschoolhillsboro.org. Check out the January Parent Club Meeting Minutes for updates. There is information regarding upcoming events and open volunteer positions. We want to give a shout out to George Andrews for stepping up to be our new Jog-a-thon Director. Thank you George for taking on this important task for our school community! Be sure to check out the November Parent Club Meeting Minutes. There are updates on open positions as well as results from our Annual Wreath Sale. There are also updates from SCRIP, SAC and more.